Under the stage name Weyes Blood, Natalie Mering released her fourth full-length LP, “Titanic Rising,” on Apr. 5, exploring more than ever a deep, baroque blend of soft rock and pop. Conjuring atmospheric, water-logged and dreamy images of romance, life and hardship, Mering splits from her experimental rock beginnings and influences, fully indulging in a new sound. Her foray into a bright and emotional floods the album’s sound in a beautiful whirl of genres, most notably on “Titanic Rising,” uncompromisingly gorgeous and unforgettable. The opening track, “A Lot’s Gonna Change,” kicks off the record with a droning, cinematic pipe organ and expands into a piano melody that leads the remainder of the track, instantly signaling that the record is unwilling to be defined or constrained by genre. Mering’s chorus soon follows the piano, offering lofty, operatic and theatrical vocals. A set of strings folds into the sound at the chorus, completing the atmospheric dome of sound that encircles the track. As the swells of the chorus fade, the organ, playing a carnival-esque tune, bisects the chorus with the mellow second verse. The first track on its own is a musical journey that sets the path forward for the rest of the record. On “Andromeda,” Mering lets her vocals take the lead; tipping into falsetto and letting the waves of layered choruses wash over the track. 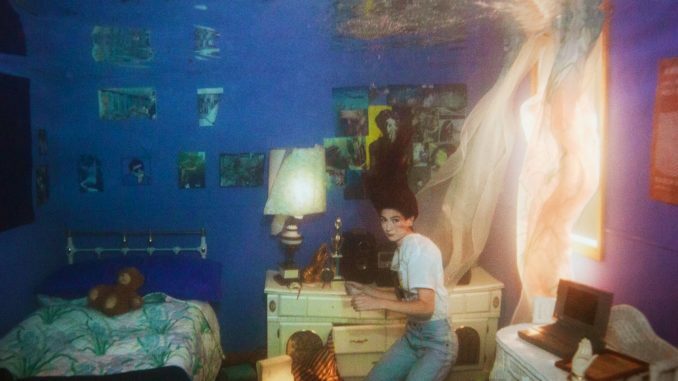 The song perfectly captures the mood of the album’s artwork, a picture of Weyes Blood submerged underwater, floating in a bedroom. The steel guitar chords underlying the string melody give a beachside feel, and Mering’s vocals call to listeners like a Siren, enriching the underwater vibe of the track and album as a whole. The brightest and most upbeat track, “Everyday” feels influenced by country guitars and bluegrass viola and banjo chords and tinged by pop-rock contemporaries like Kate Nash or a more radio-friendly U.S. Girls. But the result feels somehow incomplete or unfinished, especially when the bluegrass-heavy instrumental takes hold in the last third of the song. “Something to Believe” quiets the noise and energy generated by “Everyday”; with the beautiful and haunting chorus “at night/ I just laid down and cried.” Mering’s hypnotic voice carries the track through more layers of steel guitar and country influence. Once again, she delivers a pure blend of genre-defying, uncompromising balladry. The instrumental title track, “Titanic Rising” acts as a kind of interlude and fully cements the atmosphere and strange attraction that the record commands. Echoing sounds swirl amidst a sweet, subterranean humming. Listers feel as if they themselves are rising from the ocean floor and churning in the waves to break onto the shoreline. Subverting genre expectations, Mering introduces a backbeat of 80s-era synthetic keys that scale up and down while she delivers a moody, melancholic performance enhanced by swells of sound that meld with the synth melody behind it all. When the synth disappears, a sharp chorus of strings and drums swings through to shift the track into a brighter, soaring ballad. “Mirror Forever” follows a similar path, lining the background melody with small, nearly indecipherable flutes and strings before turning the track on its end with low, warbling horns on the chorus that reprise the record’s reoccurring underwater atmosphere. “Wild Time” and its counterpart “Picture Me Better” slow down the back end of the record with guitar-backed, vocally-led tracks that seem to signify an emergence onto land; the instrumentals are sharper, clearer, and more defined, but still lead listeners on an auditory journey through a half-dozen musical styles. Weyes Blood swells each chorus on these tracks, but the atmosphere of each feels pulled from a classical musical film. Closing the album is the second musical interlude “Nearer to Thee,” which concludes the record with some of the most defined string instrumentals and progressions on the album before fading into a long, simmering silence.